As a second grade teacher, I get many students who struggle with social skills and working with others. 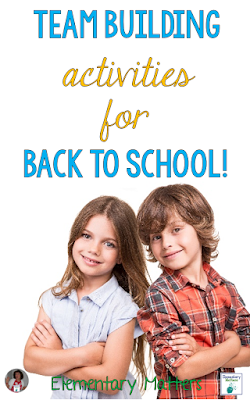 I like to start the beginning of the school year with plenty of activities to build those important skills. Back in May I wrote a blog post about Team Building Activities. You can see that post HERE. I've noticed that post has received a lot of attention lately, so I'm thinking that teachers are looking for Back to School Team Building Activities! Here are 5 ideas for Back to School Team Building Activities! 1. Musical Shoes - While sitting in a circle, have everyone take of their left shoe. 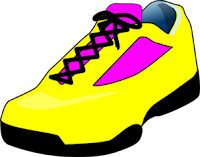 As the music plays, they pass the shoe to the right while taking the shoe being passed from the left. As the shoes dance their way around the circle, stop the music randomly. Whatever shoe they are holding, they need to find the owner and make sure they know that person's name. They also have to find their own shoe, so there should be a good deal of chatter and giggles as they hobble on one shoeless foot. Teachers can choose for the kids to exchange different information such as their favorite book, number of children in their family, or their birthday month. Even if you don't consider yourself a singer, the kids will always remember these songs. Plus, there are even more advantages to group singing: There have been studies that show when people sing together, their hearts start to beat to the same rhythm. See more about that HERE. 3. Introductions - Children should work in pairs to learn 3 things about each other. After some practice, they come back together to do formal introductions of each other. It might sound like this: "This is my new friend Mary. She likes gymnastics, reading, and the color pink." 4. Cooperative Musical Chairs - This is like the traditional Musical Chairs, but with a twist. The game starts with one less chair than children. When the music stops, they all find a chair, but when there's someone left, someone must make room for this student. 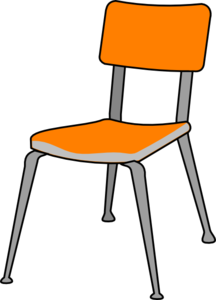 Remove chairs each time, so the students will keep having to find a way to include everyone in the group. Beware: Giggles will follow! Looking for more ideas? Check out this video or see: 60 Team Building Games and Activities. 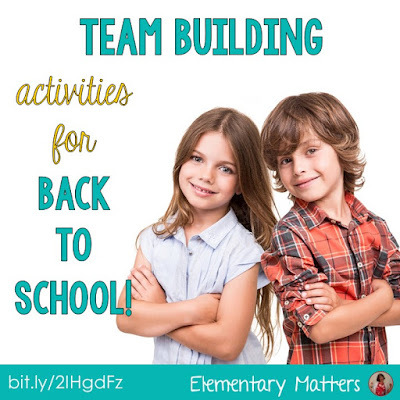 What Team Building Activities do you use in your classroom? I'm going to keep these at the ready for those extra minutes before and after lunch. Great to have these on paper and not just memorized because I can even put these IN MY SUB folder and tell him/her to use as an incentive!!!! I should write down some of the ones that I just have memorized! Thanks for sharing these fun ideas! I love what you said about singing together! Our first day is Monday, I am totally trying some of these things next week!! Love these ideas, thanks for sharing them. I'll be using these activities for sure in Sept.
Who Am I? Is a great game for every age. We played it during the first week of classes in some of my college classes even! I have never tried it with little ones but I like the tip about showing them the choices ahead of time. Very smart! Thanks for sharing Sally, these are great and the new ideas I'll add to my reportoire. I like your blog post. Keep on writing this type of great stuff. I'll make sure to follow up on your blog in the future. corporate team building activities . How about ideas for the middle of the school year when team building activities have been forgotten and things are falling apart ?